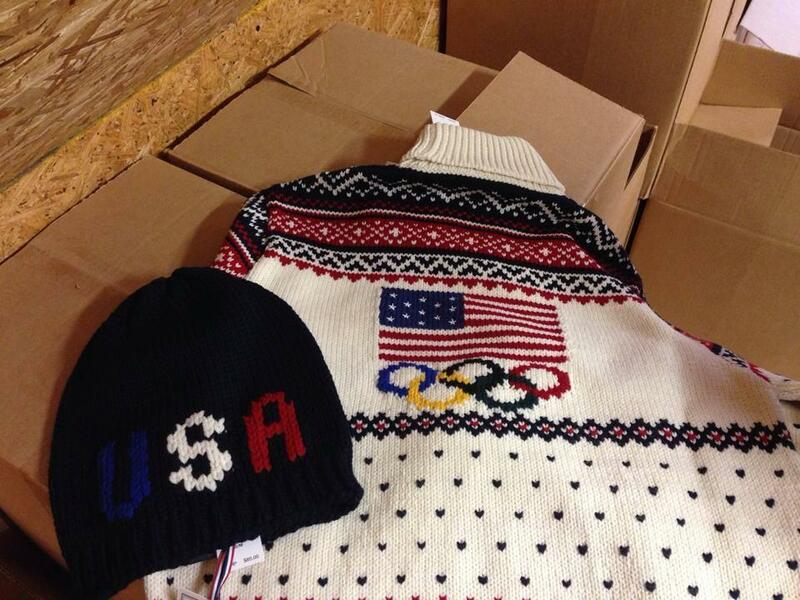 The sweater that will be worn by the U.S. team at the closing ceremony for the Winter Olympics in Sochi. The yarn was spun at the Stonehedge Fiber Mill, owned by Debbie McDermott, who says a woman employed by Ralph Lauren discovered their fiber mill in the summer of 2012. The woman spotted a Michigan Department of Transportation sign advertising the Stonehedge Fiber Mill along the road. She stopped in, took a skein of yarn back to New York, and Ralph Lauren liked it so much he ordered 3,000 lbs from the mill for the sweaters. Based in the Lake Street Center industrial complex in East Jordan, Stonehedge specializes in custom processing of wool into yarn. The business' wholesale yarn also can be found in roughly 250 stores nationwide. Stonehedge employs 14 people, most of them family members. The company typically produces 2,00 to 2,500 pounds of wholesale yarn monthly, as well as 1,000 pounds of custom yarn for customers across the nation. Stonehedge typically uses textiles produced by sheep and angora goats form McDermott's 157-year-old farm. The fiber mill even uses equipment created by McDermott's husband, Chuck. There has been a lot of reaction to the opening-ceremony sweaters, but the closing-ceremony sweaters have escaped the fashion barbs – some describe them as not "quite as obnoxious." Gov. 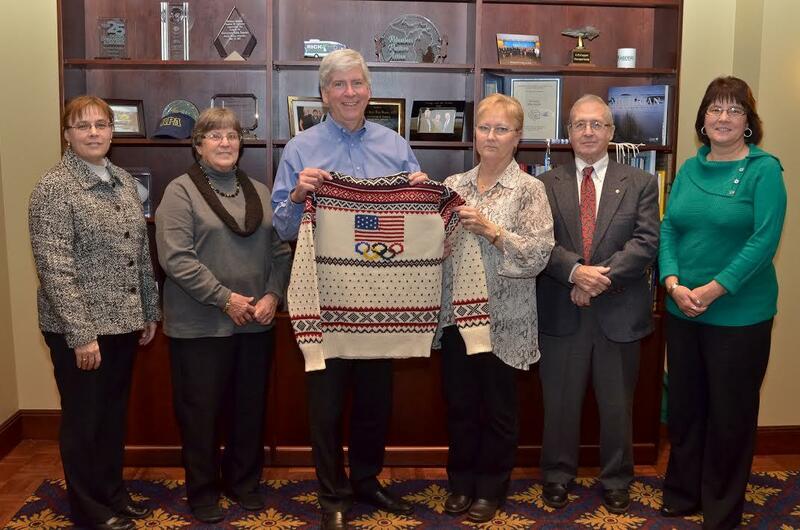 Rick Snyder is presented with an official 2014 Olympic Closing Ceremony sweater by Debra and Chuck McDermott, owners of the Stonehedge Fiber Mill in East Jordan, MI. McDermott said 200 of the closing ceremony sweaters were made for retail. 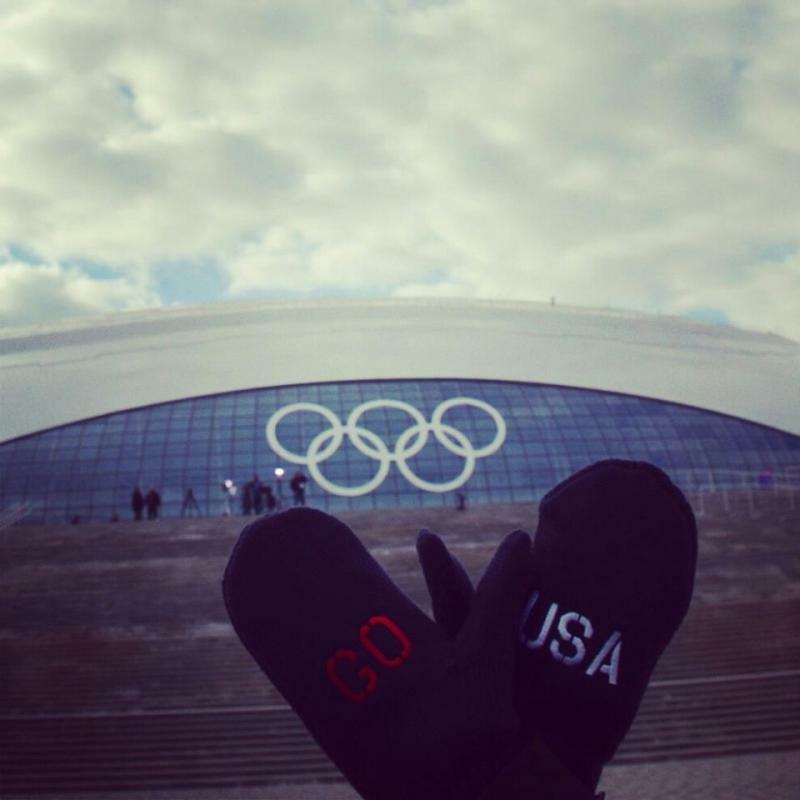 You can shop for all the Ralph Lauren Olympic gear on their website. It appears the closing ceremony sweaters are sold out. If you still want to buy a hat, they're $85. Or if you're feeling really adventurous, you could pick up one of these sweet get-ups. *Correction: An earlier post stated that the yarn from Michigan was used for the opening ceremony sweaters. That yarn was made in Oregon, not Michigan. We corrected the copy above. *This post was originally posted on Thursday, Feb. 6. It turns out that Michigan is really good on ice. We've got 13 Olympic athletes going to Russia. Actually, they're probably already there since the opening ceremony is Friday. The U.S. team is very serious as you can see. When the Winter Olympics begins in three days, there will be snow on the ground in Sochi, Russia in part thanks to our next guest. Joe VanderKelen, President of SMI Snowmakers in Midland, Michigan joined us today. Some scientists at Dow Chemical in Midland plan to spend some of their break time next month watching TV coverage of the Winter Olympics in Sochi, Russia. But they’ve got more than the usual rooting interest in one of the Games' more obscure sports. In a nondescript laboratory deep inside the warren of buildings that make up the massive Dow Chemical complex in Midland, a large machine is shaking and rattling something that looks like a miniature sleigh.